A new article from our contributor Faisal Mahmood about Product Backlog artifact. He discusses about why we need to groom the Product Backlog and the benefits of grooming. "Product Backlog is a living document that is updated continuously. It contains all the requirements, functional and non-functional. After a while, it tends to become messy. It needs regular upkeep, or grooming. The Team and the Product Owner to break-down larger items into smaller items, so that they share a better understanding of the scope of these items. The Team and the Product Owner avoid long winded discussions during the Sprint Planning. It saves time. The Product Owner as she orders the Product Backlog as new items are added and existing items are broken down into smaller items. The Team estimate the Product Backlog easily. Smaller items are easier to estimate. The Product Owner to share the vision and direction of the Product with the Team. This helps the Team in understanding the big picture and make valuable decision about architecture and design. 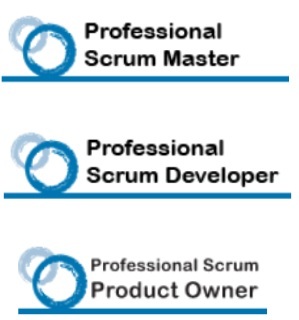 The Team and the Scrum Master understand the resource requirements and composition of the Team..."
See full article on Product Backlog Grooming. We guess this is the most exiciting post for us we've written since the start up of ScrumTrukey. I posted a tweet to Mike Cohn yesterday about supporting ScrumTurkey by retweeting. He showed his kindness and supported us. Also he posted another one about one of our articles. This made us very proud. Let us give you some information about him... Mike Cohn has worked with Fortune 500 companies, small startups, and everything in between. With over fifteen years of experience with Scrum and agile, Mike has the expertise and depth of knowledge to help the organizations create and build high-performance teams. You can read more here. 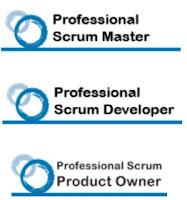 By the way, the Guru, Mike Cohn also supported ScrumTurkey allowing us to share one of his posts from his blog. And we selected the most interesting one. It's an article about check-in and check-up the team members of a Scrum Team. He recommends the checking in, not the checking up. He discusses the four key things a good ScrumMaster or agile project manager can do to avoid crossing the line into micro-management while still checking in on a team. You can find the full article here. Thanks a lot again for his kidness and best wishes for ScrumTurkey.